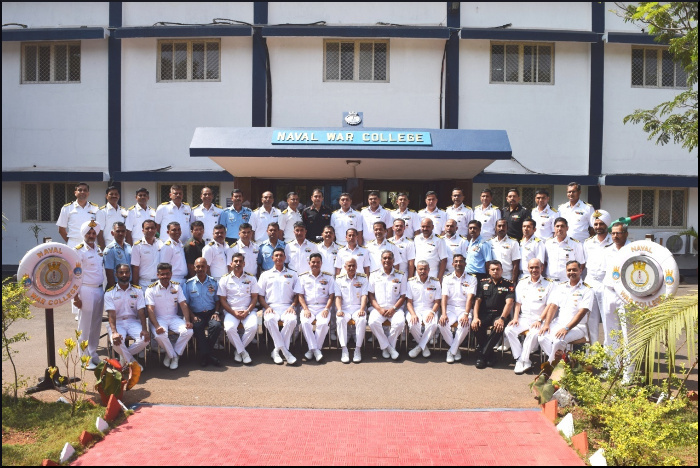 The Naval War College hosted Admiral Sunil Lanba, PVSM, AVSM, ADC Chief of the Naval Staff and Naval Commanders-in-Chief on 24 April 2017 for the Commanders Conclave. 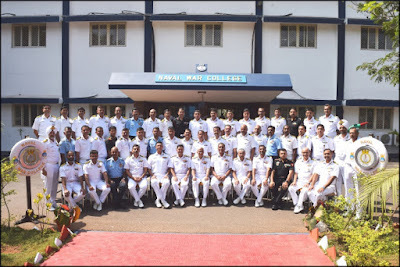 The Conclave is a forum for participants of the Naval Higher Command Course to interact with the senior leadership of the Navy and present their findings on various research studies undertaken during the Course. Course participants presented their views on various aspects of Naval force structure, operations, maintenance and human resources. The 29th Naval Higher Command Course commenced on April 2016, and will be graduating from the College in May 2017.